Third try: This is as good as it gets! This post shows dedication to the cause, even if I say so myself. I have made this cake three times in the past week. The first time I made it (photo immediately below), it was very crumbly. In Margaret’s defence, she does say the cake is best made the day before it is to be eaten. My cake was not even cold before it was all but gone – no wonder it was crumbly. We hadn’t had lunch and, geez, it was nice. We did leave about a third which I cut the next day. It was significantly better, but still very crumbly. When I was spooning the dough into the tin, I did say to Maus, “This is very thick,” but didn’t think much of it. Later, I thought about what I had done. Like most old recipes, the ingredients are listed in cups. And, as we all know, my cup of flour may not be your cup of flour. Also, I had used one of Renate’s eggs which are a bit on the small side. Her hens are still young. I decided to try again. This time, I would weigh the flour, use a large egg and add a little more milk. I went to taste.com.au which told me one cup of flour weighs 150g so I went with that. My second try was equally delicious (we ate about a half on the first day) and less crumbly but still on the crumbly side. In my first two attempts, I had had trouble creaming the butter and sugar. The first time, I used a hand held electric mixer and the second time, I used my Kenwood Major, each more than capable of creaming butter and sugar. I figured the recipe needed a bit more butter. Back in Perth with my Mix Master that makes perfectly good cakes, I decided to try again. This time I upped the butter from 45g to 50g but, still, it didn’t really cream – maybe caster sugar next time. This cake (top photo) is the least crumbly of the three. The recipe calls for the cake to be cooked at 170°C for one hour. Because it is an old book and I have a fan forced oven, I reduced the temperature to 160°C. After 56 minutes, I remembered the cake, whipped it out and checked it. It was well and truly cooked. The second time, I checked it after 50 minutes (I was getting smart) – cooked again! The third time, I checked it after 45 minutes and it wasn’t quite done. I checked it two minutes later and it was done. The top photo looks like the cake rose more than the other two but I am not sure that is the case. The tin was smaller than the one I was using in Bridgetown. I know I should have thought ahead and used the same tin… but you know how it is. Now, what is the verdict on the cake? Bloody nice, if a little crumbly. The recipe is from The Cookbook Guru’s feature cookbook for May and June: The Complete Margaret Fulton Cookbook. Line a nut loaf tin with baking paper. Preheat your oven to 160°C if fan forced, otherwise 170°C. Cream the butter with the sugar (as best you can). Add the lemon rind and the egg and beat until very well combined. Fold in the flour and the milk. Add the walnuts and mix to combine. Spoon the batter into the prepared tin and bake in your preheated oven for 45 minutes to one hour. Check after 45 minutes. Try not to eat it until the next day. . 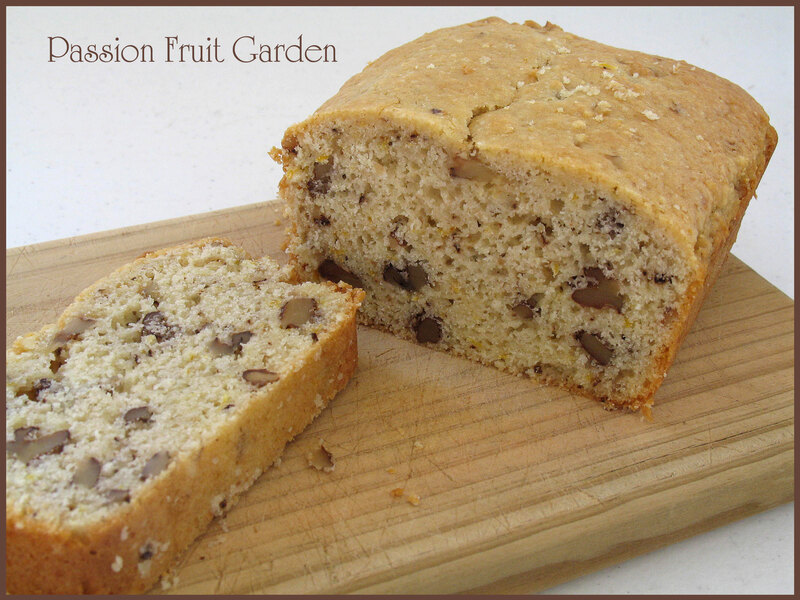 This entry was posted in Cakes, Sweet Things and tagged Margaret Fulton, Nut loaf, Nut loaf recipes, The Cookbook Guru by Glenda. Bookmark the permalink. Glenda, I give you credit because you just don’t give up. i admire your perseverance & I think the cake looks beautiful. The measurement thing is so confusing. Of course we always use the cup measurements here while it does seem to make more sense to use a weight measure. Of course that means a tough time doing the conversions & as I found with Celia’s bread recipe…well, let’s just say my math skills failed me that time. Oh Diane. That is one thing I am glad of – I was always good at maths. I sometimes wonder about recipe measurements. A lot seems to depend on the source and age of the recipe, and also the ingredients, size of eggs, quality of butter etc. I’m always tweaking and experimenting, and jotting rough notes on post-its if it comes out right. Finally I’ve given up on being attached to any outcome except edible 🙂 And all of your tries certainly look that. Hi Ella, there are so many variables. I just realised that English cups are smaller than US cups which are smaller than our cups – geez. I am going to try one more time, this time adding more butter. I definitely need kitchen scales! I’ve got Deb onto it Glenda – she is not anonymous by the way!!!! Gail How could Deb be anonymous – I changed it for her. Tell Deb to put in 75g of butter. I am going to next time. I love the experimentation and exploration that cooking can bring, none more than when people are exploring old cookbooks and making the recipes more current. 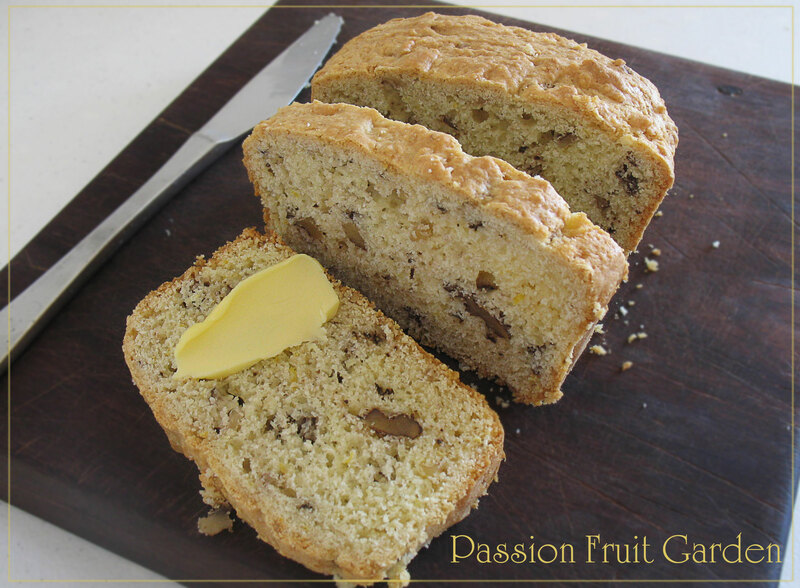 If you feel the same then you must catch Glenda’s post on Margaret Fulton’s Walnut Loaf. Now that is dedication! You have amazing patience to make it 3 times, but then, many of us do the same when perfection eludes us. I bet it would taste great with a good, crumbly, sharp cheese. 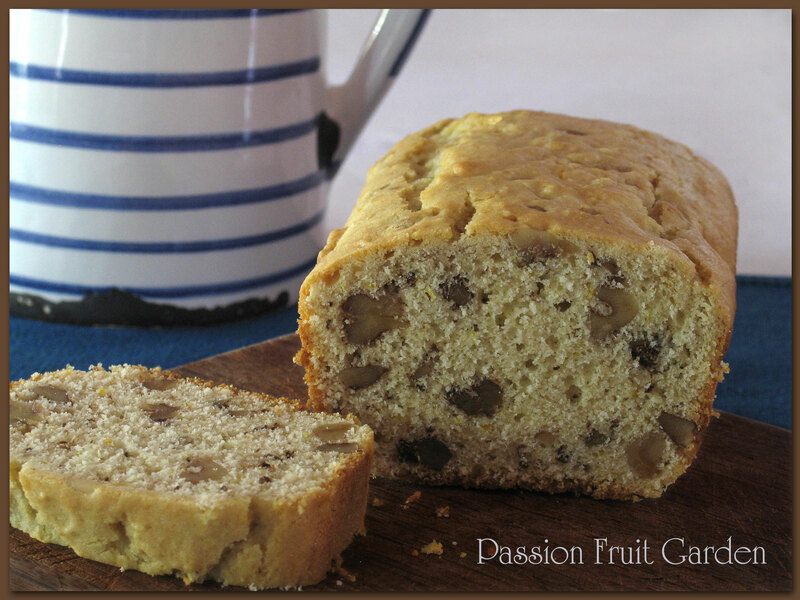 Perfect with walnuts and contrasting with the sweetness of the cake. Hi Deb, It is such a simple recipe and tastes so good but I am sure it is not supposed to be so crumbly. As I said to Sandra, I am going to increase the butter next time. It sure is Sherry, That 220g doesn’t sound right though. A US cup is smaller than an Australian one (and a UK one is smaller again). It looks yum to me & I will have mine with some custard please. Hi Deb, I believe you will be making one soon. You’re dedicated to persist Glenda. The quantity of butter looks very small for a cake. I wonder if my adding a little extra it might help the texture. I love walnuts! You can’t keep a good cook down… well down on perfecting the recipe. I love the way you cook, Glenda! Hi Liz, I haven’t perfected it yet. One more try I think. Very dedicated indeed, Walnut bread and winter go very nicely together. They sure do Francesca but this recipe is bugging me. The cake is very basic but it shouldn’t be so crumbly. Hi Louise, It was hard work! Hi Glenda, it looks delicious. I love walnuts baked in anything so this is one I will absolutely highlight as a must cook. Hi Taryn, I also like walnuts in anything. I love the fact that you say to try not to eat it until the next day. I bake bread and my family says it is torture to make them wait an hour before cutting. Now I make the bread while everyone is in bed in the early morning or I bake my bread while everyone is at school and work.